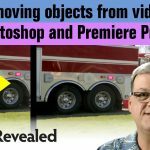 On this video, media creation expert Colin Smith from VideoRevealed takes a look at one of the most important features added to Premiere Pro in recent years – Motion Graphics Templates. 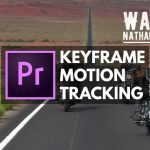 Motion Graphics Templates were added to Premiere Pro over a year ago and they hold a great promise to the future of this popular video editing software. Initially, it was [precived as a new way to add text (basically a replacement for the old titler – which you can still use by the way). 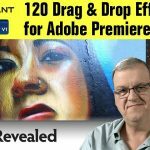 However, as time goes by and as Adobe releases newer versions of Premiere Pro it becomes clear that Motion Graphics Templates (also known as Mogrt files) are going to be a big part of Premiere Pro and are designed to give creators new ways of making their workflow faster and more productive. 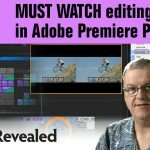 When it was first released you had to have AE installed on your computer in order for the Mogrt files to work, this limitation was removed later on and the latest version of Premiere Pro added better support for Adobe Stock (where you can find free or Premium templates of lower third, captions, titles, animations etc.). We actually use templates from motionarray (most of those are not free but they have some good ones and you can even request a specific one and you might get lucky and it will be made for you – this did help us a few times). 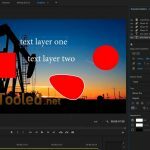 Motion Graphics Templates are still in their early days – there are a lot of things that can’t be done with them and although there are more and more templates that you can download or buy online from Adobe and 3’rd party sites – it is clear that the potential of this feature is nowhere close to be fulfiled. 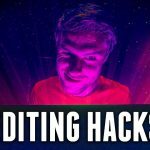 On this video Smith shows how to work with Mogrt files, create titles and change them and do all sort of very powerful thing with them. 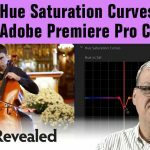 You can find more Premiere Pro related video on this link here on LensaVid. 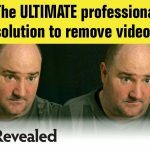 We will continue posting more interesting videos from Smith’s channel (see a few previous ones that we published – here).